Introduction: The Norse colony in Greenland existed from its discovery and settlement by Eiríkr rauði in 985/6 until its decline in the 15th century. The exact causes of this decline are widely disputed and are the topic of many books and papers but will not be discussed in this paper due to its complexity and lack of relevance to this thesis. The exact population of Greenland is unknown but modern estimates place the population of both Eastern and Western Settlements to between 3000 and 5000 at the peak of the colonies and an overall population during the colonies’ existence at about 70 000. The history of this period is not well known for there are no accounts written by the Greenland Norse yet the memory of Greenland remained alive in archaeology, the medieval Icelandic Sagas, contemporary knowledge, Grœnlendinga þáttir (Tales of Greenlanders), Icelandic annals, and several other works. Its status became known as an independent but secondary settlement from Iceland with its own political organization and connections to Norway. Contact between Greenland and the rest of the world was not well recorded but there is much evidence that suggests that trade was abundant. Scholars believe that communication between Greenland with Norway and Iceland started strong but slowly deteriorated or eventually stopped sometime during the 14th and 15th centuries. All the sagas written about or that include Greenland were written at least 200 years after its settlement (1200 C.E. +) and were not based on accurate historical knowledge, rather they were based on multiple oral traditions both contemporary and older, hearsay from travelers and merchants, and creative fiction by the authors. The sagas kept the memory of early Greenland alive and portrayed an image of the remote land which included tales and notions of savage paganism, the supernatural including trolls and other monsters, outlawry and exile, and an unforgiving harsh and barely inhabited wilderness which served as a perfect setting for Icelanders to explore and meet physical and religious conflicts in a heroic narrative. It can be discomforting for readers and scholars to know that Greenland’s history will never be fully known. Fortunately we can still gather much information and a lot can be said without too much doubt. Norse Greenland scholarship assumes that in the founding of Norse Greenland Christianity already existed. However, very little work has been done on this topic and little has been said for certain. There have been a few works done on the topic but they are only brief summaries and they assume information rather than provide evidence for it. Early religious practice in Greenland is usually just a side note on the topic of settlement or a small chapter in a larger body of work and few authors go into any real detail. In fact, there is actually a lot of information on the topic and many reasonable conclusions can be drawn. How many Icelanders were Christian at the time of Greenland’s settlement? Were there any pagans? Did Greenland ever officially convert to Christianity and, if so, when? These questions cannot be answered with complete certainty. However, an awareness of what is known and unknown about religion in Greenland can help answer these questions. One of the biggest problems with this topic is that there is a large lack of written material available. The most troubling thing about this subject is that there are two conflicting forces at play, each telling a difference story; the first is the written record that suggests Greenland was first inhabited by a pagan majority with a Christian minority, while the second is the archaeological record which suggests the land was held by a solely Christian society exempting one stone loom-weight depicting Thor’s Hammer and a stick inscribed with runes possibly relating to Norse mythology. Because of these opposing records, the historical record must consult other forms of evidence or means in which more information can be synthesized in order to come to a good understanding of the topic. Therefore, this thesis will be focusing on the historiography of the topic, that is, who has written on this topic and what we currently know because of previous scholarship. I will use this scholarship in conjunction with the written record and their inherent problems, in order to interpret a plausible conclusion. 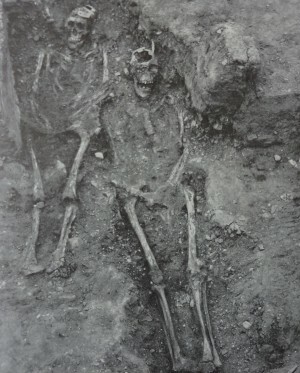 The archaeological record will be consulted and used to show what we can know through the analysis of farm and church ruins, skeletal remains, graveyards, and some objects of possible pagan significance. I will also show how the Icelandic settlers that came to Greenland were of Gaelic-Norse origin – and therefore many were likely Christian – and how that will affect the historical record. Fortunately there are many things that we do know. 1. Landnámabók, and therefore Eiríks saga rauða and Grœnlendinga saga, agree that a Christian man travelled with Eiríkr rauði to Greenland upon settlement. 2. Eiríks saga rauða and Grœnlendinga saga both claim Greenland was pagan during the period of settlement. They both also acknowledge that Greenland was eventually converted to Christianity. 3. Both Eiríks saga rauða and Grœnlendinga saga contain pagan and Christian characters. The pagans are viewed negatively and the Christians are viewed positively. Both result from authorial bias, the authors are obviously Christian as the texts are written from a Christian perspective. 4. Landnámabók records the initial settlement of Iceland, and specifically the region of Breiðafjörður, as being settled by many Gaelic-Norse people from the British Isles. Icelandic DNA analysis supports this. 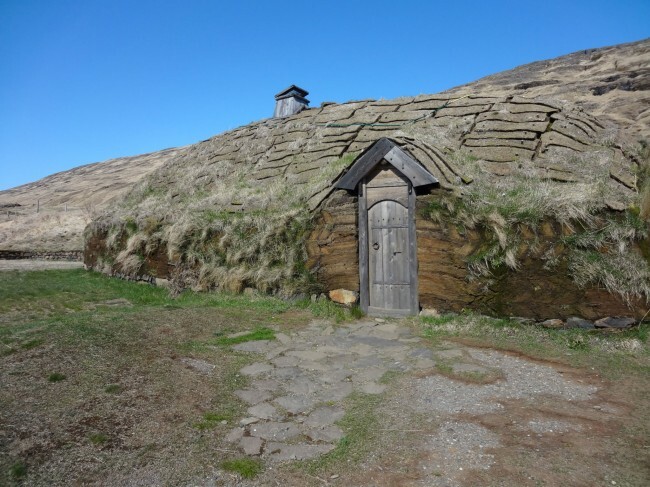 The British Isles had been Christian for hundreds of years before Iceland was converted and many of the settlers in Breiðafjörður were already Christian and households may have been of mixed faith. 5. Archaeology has only ever found two pagan-related objects in Greenland; a depiction of Thor on a stone loom-weight, and a stick carved with runes possibly describing Norse mythology. 6. All archaeology points towards a Christian society. There have been no pagan burials found. There are many churches, graveyards and graves (earliest ones are from the late 10th century), objects and art for Christian use or depictions thereof, all of which support a Christian society. 7. Like Iceland, as well as most Norse countries, Greenland would not have been a perfect example of a “proper” Christian society. Rather, it would have been a looser form of Christianity with leftover pagan ideals or practices, Christianity would later become more structured and orthodox. 8. The Icelandic sagas and their writers were not well informed on the actual state of Greenland and its history. There was no cumulative or collective knowledge of Greenland in writing, in oral tradition, and social memory by Icelanders and the rest of the world. 9. The Norse colonies in Greenland were Christian before their disappearance in the 15th century.